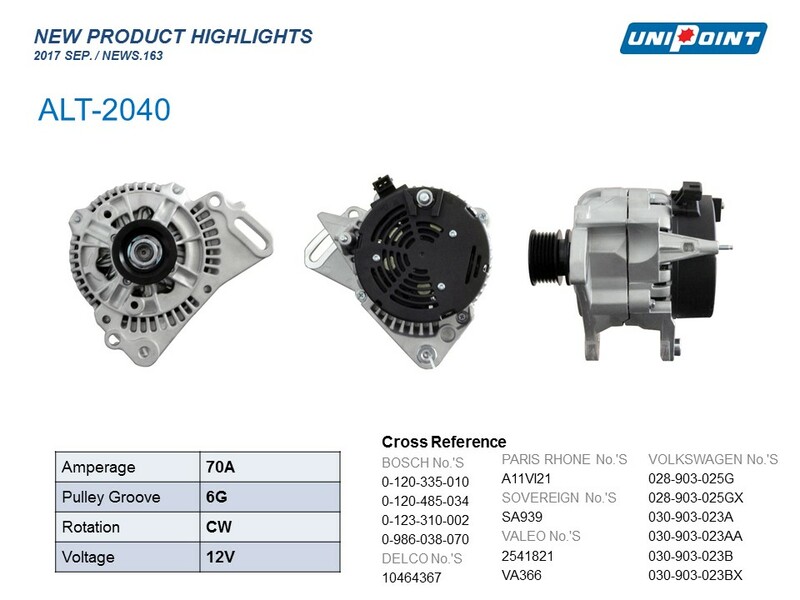 Please find attached Unipoint "New Product Highlights" for September 2017, featuring our newest additions for Rotating Machine Line. ALT-2040: 12V, 70A, USED ON SEAT AROSA, VOLKSWAGEN GOLF MODELS. ALT-H028: 12V, 55A, USED ON OPEL ASTRA, OMEGA, AND VAUXHALL ASTRA MODELS. 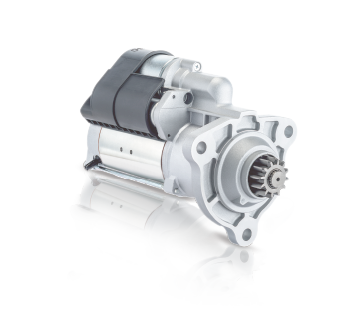 ALT-H131: 12V, 65A, USED ON FIAT DOBLO, PALIO, AND STRADA MODELS.